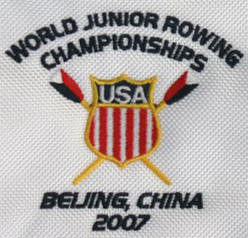 Co-captain Ian Winthrop ’08 and recent graduate Jeremy Bernstein ’07 will be competing at the 2007 FISA World Rowing Junior Championship starting tomorrow. After successfully being selected for the team earlier this summer, Winthrop and Bernstein made the 7000 mile trip a week ago to the regatta in Beijing, China. The venue, the Shunyi Olympic Rowing-Canoeing Park, will host the Rowing, Canoing and Kayaking events at the 2008 Summer Olympics. At the opening ceremony, FISA President Denis Oswald, IOC President Jacques Rogge, and Beijing Olympic Games Organizing Committee President Liu Qi cooperatively beat a large drum to signal the start of the regatta. This is the first in a series of preliminary sporting events in Beijing designed to test the city’s athletic facilities before the opening of the 2008 Olympics next summer. 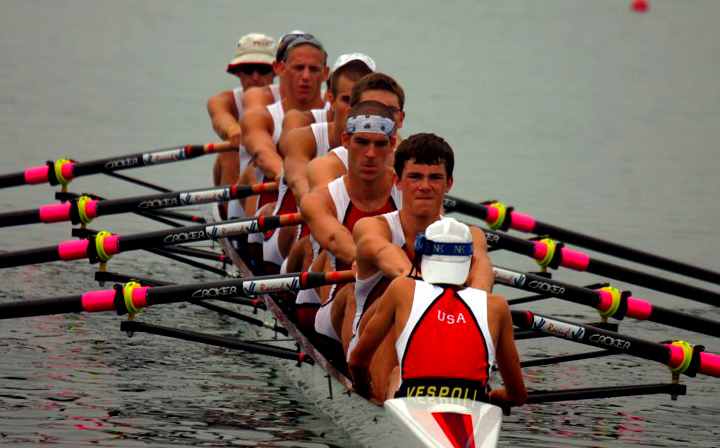 Winthrop sits three-seat in the Men’s Eight. His first heat will take place on Wednesday 1:24 PM Beijing local time, or 1:24 AM EST. In this heat, the U.S. boat faces tough competition from Italy, New Zealand and Russia. The winner of this heat will automatically qualify for the finals on Saturday. The remaining three boats in each of the two heats will race in the repechages on Thursday for a second chance to qualify for the A Finals. Bernstein sits bow-seat in the Men’s Coxed Four. His first heat will take place on Wednesday at 9:48 AM Beijing local time, or 9:48 PM EST Tuesday night. In this heat, the U.S. boat will race against fast crews from South Africa, Australia and France. The winner of this heat will automatically qualify for the finals on Saturday. The remaining three boats in each of the two heats will race in the repechages on Thursday for a second chance to qualify for the A Finals. Results from the heats will be posted either at the regatta website or at the FISA website. Good luck Ian and Jeremy in your heats!